Polymorphisms in the MTHFR gene have been studied as possible risk factors for a variety of common conditions. 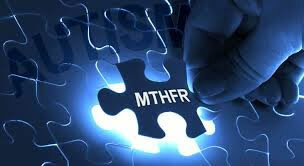 MTHFR gene mutation is a highly significant public health problem that is not commonly looked into. The MTHFR mutation influences the health outcomes of people with Type 2 diabetes, cardiovascular disease, autism, fibromyalgia, miscarriages, schizophrenia, severe depression, and cancer to name a few. The function of the MTHFR gene is simply to produce the MTHFR enzyme. However, if the MTHFR gene is mutated, the enzyme produced is not entirely correct. As a result, things don’t function properly. The MTHFR gene is responsible for making a functional MTHFR enzyme. If the MTHFR gene is slightly altered (mutated), the MTHFR enzyme’s shape becomes distorted. Enzyme function depends a lot on shape. It is similar to the grooves on a key. If the grooves on a key are slightly different than the lock, the key may fit and turn the lock a little but it does not unlock the door. The genetic code of the MTHFR enzyme must be perfect in order for it to function properly. A dysfunctional MTHFR enzyme may lead to a slew of health problems. Here at Darwin Dietitians we are able to help interpret and provided necessary nutritional and lifestyle advice based on your methylation status. For more information or to book online with us, click here.